Add to my wishlist: » Create wishlist first Product was successfully added to your wishlist. 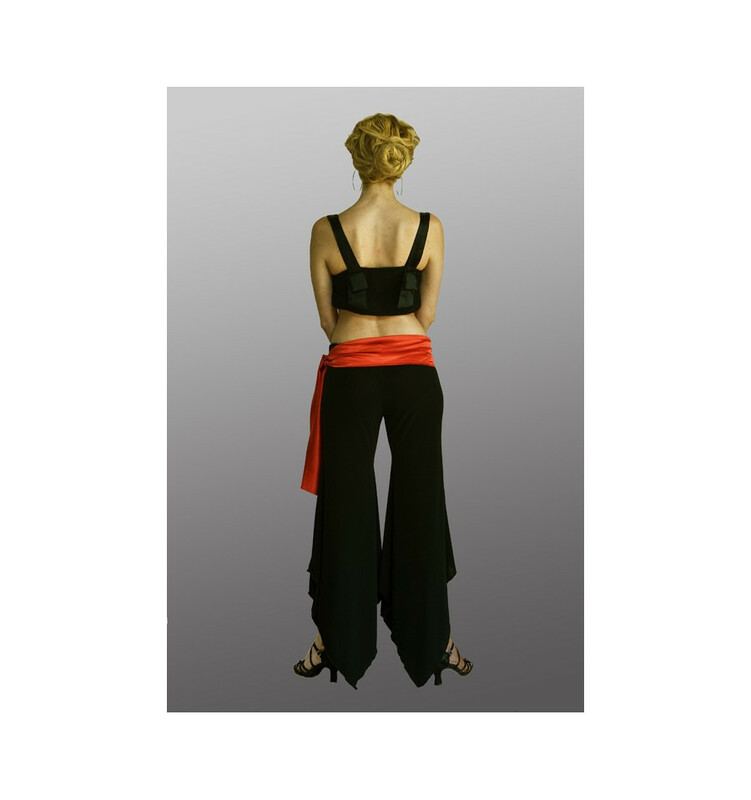 These dancing trousers hug the figure thanks to the stretch fabric they are made from. Before adding this product to cart select the correct size. Tight on the body until the thighs (with a zipper at the back), the trousers widen towards the bottom and end in a triangle, which gives the garment its wide shape. The cut and the flowing fabric make the trousers swing like a skirt. Ideal for women who love wearing dance pants but who don’t want to lose the swinging movement of a skirt when they dance Tango. Die Hose Malena ist toll. Macht eine super Figur und sitzt sehrt angenehm am Körper....und beim Tanzen bewegen sich die Hosenbeine .....fühlt sich gut an und sieht klasse aus! Malena es mas que un pantalón. Favoriza la silueta y a la hora de bailar…genial. Lo llevo también cuando voy al teatro…. me han hecho muchos piropos! Me encanta su gran vuelo. Elegante y super comodo de llevar. La entrega fue muy rapida! very pleasant, flowing fabric...makes the trousers swing like a skirt. Beautiful silhouette! I love it!